Dark Matter at the Dawn of Discovery ? The workshop "Dark Matter at the Dawn of Discovery ?" 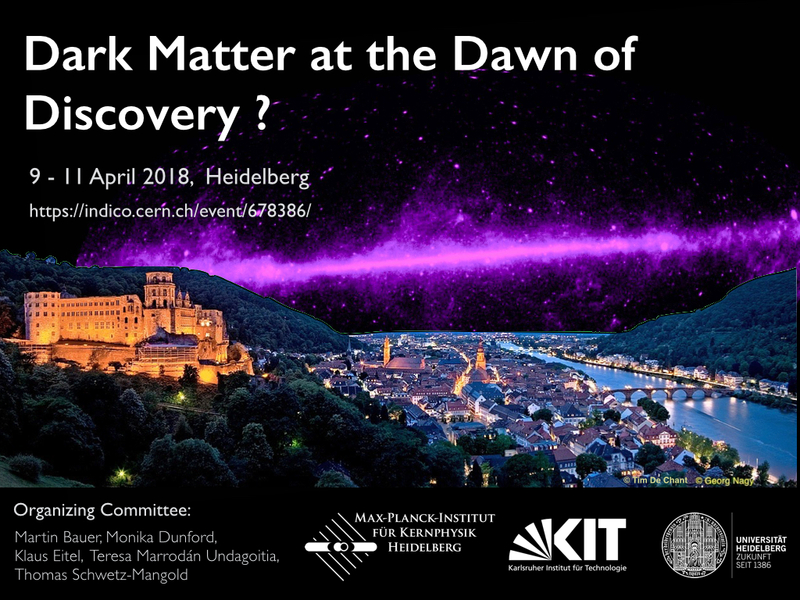 will bring together theorists and experimentalists from different dark matter search directions: LHC, direct and indirect detection to discuss the current status and future detection prospectives. The workshop will feature few review talks, a number of selected talks on specialized topics, and will offer ample time for discussions.It will take place at the Institute for Theoretical Physics at Heidelberg University. Talks are by invitation only.